Watch the wavy new visuals to ‘Move #Kuku’ from Kuku’s Capa x Oso x Oboy. Premiering on GRM Daily last night, the visuals to this are too cold, it is so well shot, filled with the mandem, the gyaldem and the best whips. 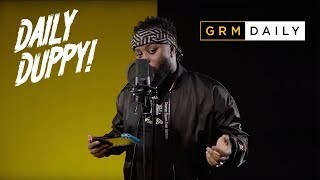 The boys all went in on this one, each bringing it with their verses, my favourite was Oboys, what were yours? Produced by Jay Stacks beats, the production on this is too cold, and the visuals are directed by Paul Whisper. Don’t miss out on this new banger from Kuku and watch the new video above now!